For two decades, Rhonda has worked in the financial industry. Rhonda has experienced major shifts in the markets, interest rates, and the economy. These experiences have given her the ability to assist her clients with the full spectrum of financial decisions they face, and to guide them in developing sound investment strategies through an ever changing financial and economic landscape. Rhonda began her career in financial services in 1990, and has dedicated her career to delivering the caring, personalized investment planning services her clients deserve. She joined A.G. Edwards & Sons a predecessor firm of Wells Fargo Advisors, in 2006 to take a team approach to providing personalized financial advice. The team model is a comprehensive approach to assisting clients which helps assure consistent top notch service for her clients. 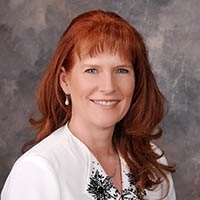 Rhonda believes involvement in the community is important, and has served two terms as President for the Rotary Club, and is currently the Foundation Chairperson as well as an active member of the Rotary Club of Chino Valley. Rhonda volunteers as a school coordinator for the Million Word Challenge reading program. She is a two term Board Member of the Chamber of Commerce and has chaired several fund raising/community events for them. Securities offered through LPL Financial, member FINRA/SIPC. Investment advice offered through Stratos Wealth Partners, LTD., a registered investment advisor and a separate entity from LPL Financial.